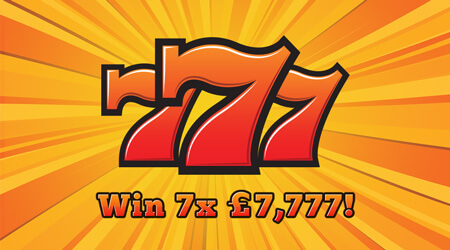 There’s seven top prizes of €7,777 available on this exciting scratchcard and plenty more big cash prizes to be won. As an added bonus it only costs 50 cents to play! Match 3 symbols to win one of the prizes displayed on the paytable! Return to player rated at 62.88%.